This entry is part 2 of 3 in the series Belgium Travel Guides. When travellers visit Belgium, they usually set their sights on Brussels and cities in Flanders like Antwerp and Bruges. But there is plenty to see and do in the south of the country too. With its proximity to the German, Dutch, and Luxembourg borders, Liège makes an excellent base for exploring a whole range of European countries. 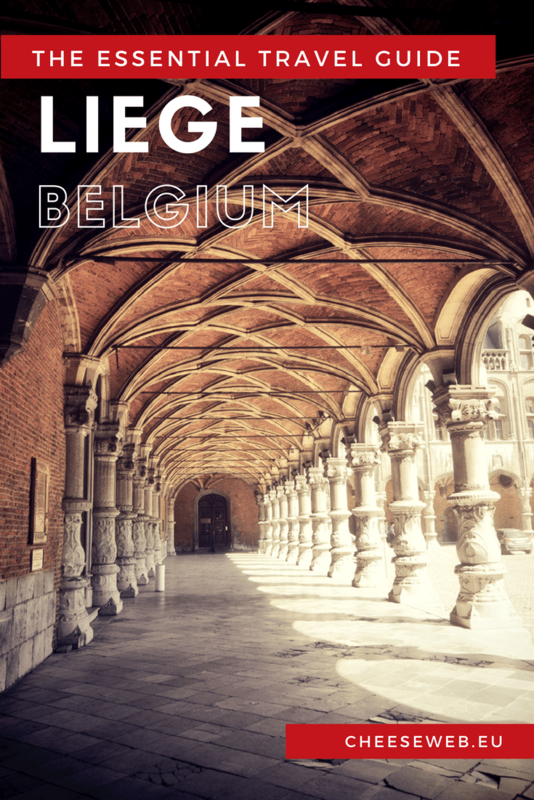 Whether you’re looking for a fun day-trip from Brussels or a weekend getaway, why not consider Liège for your next holiday in Belgium? Liège is both a major Belgian city and a province of Belgium located on the eastern edge of the country. The province’s primary industries were steel and coal, and evidence of this industrial past can be seen throughout the region. But Liège province isn’t all grit and slag heaps. 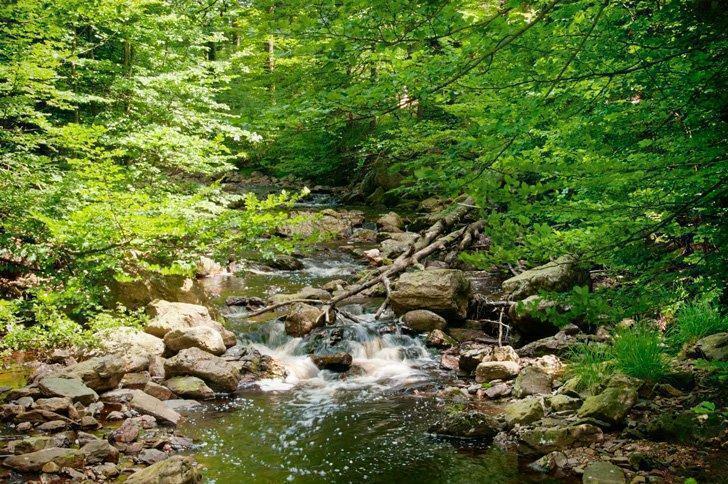 In fact, it’s home to some of the most picturesque scenery in the country and is perfect for road-tripping. The Ardennes mountains are found in Liège, as is the stunning Haute Fagnes (or High Fens) Nature Reserve. 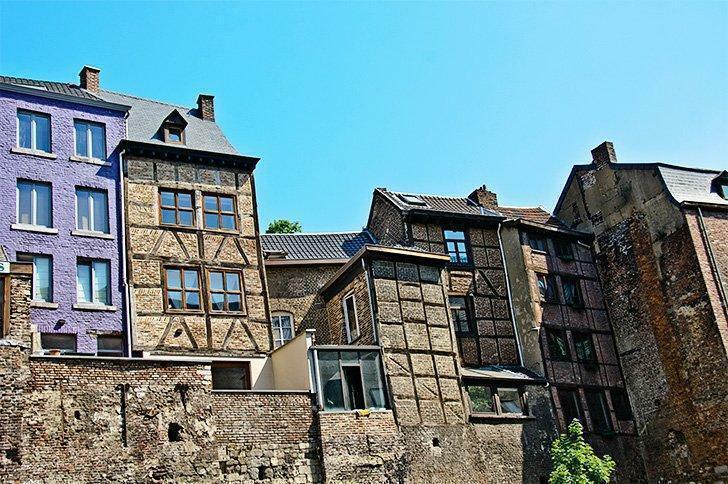 The city of Spa, which gave its name to our favourite places of relaxation, is found in Liège and you’ll see plenty of postcard-perfect towns filled with stone houses and stunning castles. Of course, there’s also plenty of great restaurants and breweries to stop at along your way. Timber-frame architecture in the heart of Liege Belgium. The city of Liège (or Luik in Flemish) is the economic centre of Wallonia, and its industrial past makes it feel a bit rough around the edges. Don’t be fooled by its gritty exterior though. 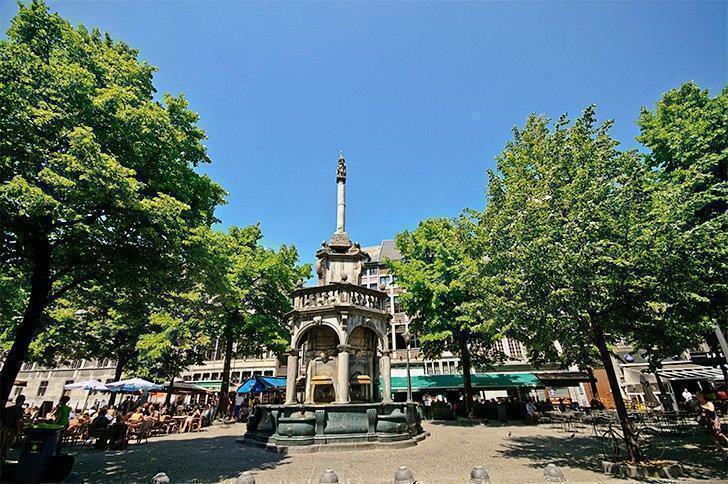 Liège is also the cultural capital of the south, and there is plenty to see and do in the city’s historic heart. Liège straddles the beautiful Meuse and Ourthe rivers and is located close to the Dutch and German borders. Its location was significant for the coal and steel industries that can still be seen here today. The river port of Liège is the third largest in Europe and, with excellent air and rail connections, it remains a hub for logistics. The best way to explore Liège is on foot. Start at Place Saint-Lambert and visit the tourist office, where you can pick up a map of the city centre. 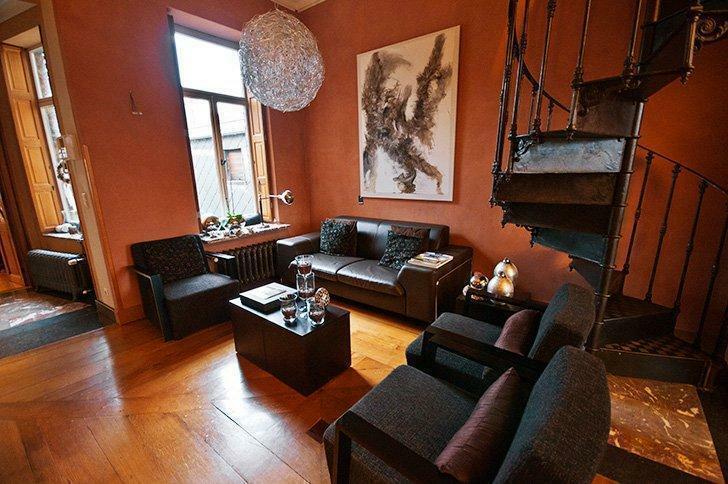 From here, you’re a leisurely stroll from most of the top Liège tourist attractions. 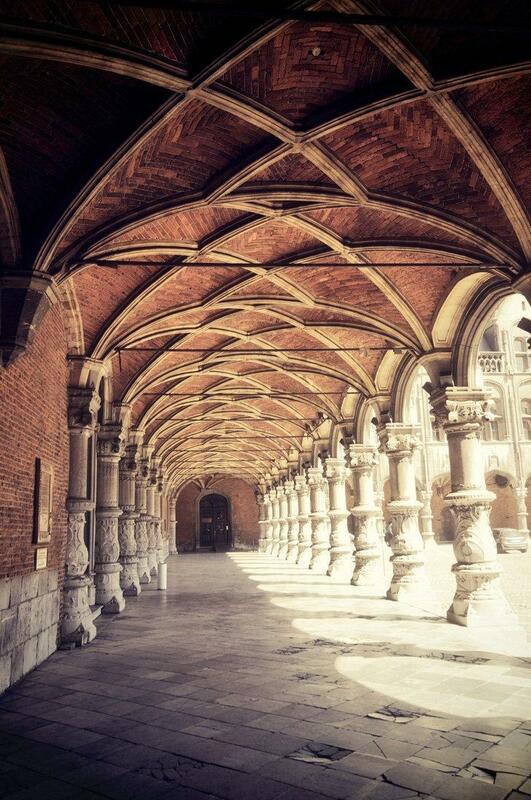 The beautiful architecture of the Prince Bishop’s Palace is one of the top Liege tourist attractions. While it’s not usually possible to visit inside, except during special heritage days, the Prince-Bishops Palace, or Le Palais de Princes Evêques de Liège, is impossible to miss. This imposing building, once the residence of the Prince-Bishops of Liège, now houses the Palace of Justice and the Provincial Palace. It has been submitted to the UNESCO World Heritage Sites list as a tentative nomination. 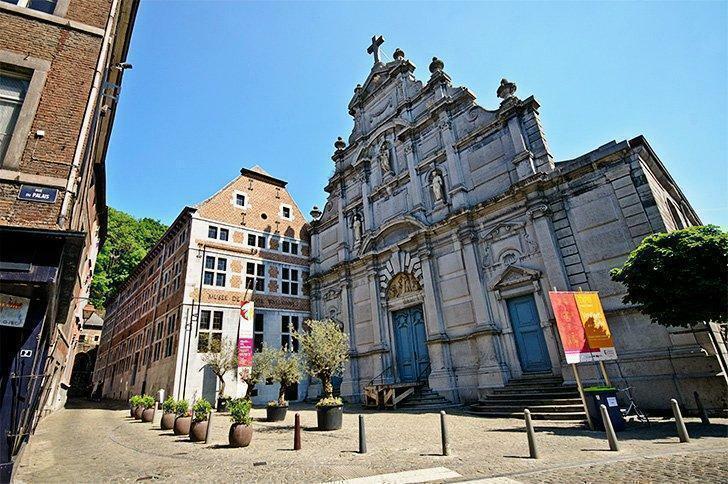 The historic heart of Liège is home to many beautiful churches. Saint Barthélémy Church (The Church of Saint Bartholemew) stands out on the Liège skyline, with its twin towers with bright red trim. Saint Barthélémy church underwent seven years of restoration and was newly unveiled in 2006. Inside are numerous priceless works of art, including a gold baptismal font, commissioned in the 12th century. Another striking church is St. Paul’s Cathedral, one of the seven collegiate churches of Liège. The original cathedral was destroyed during the French Revolution and rebuilt in the Gothic style, between the 13th and 15th centuries. Today it is possible to visit the museum and treasury of the Cathedral as well as the church itself. Liège is home to several small but popular museums. One of the most interesting, architecturally speaking, is the Curtius Museum. 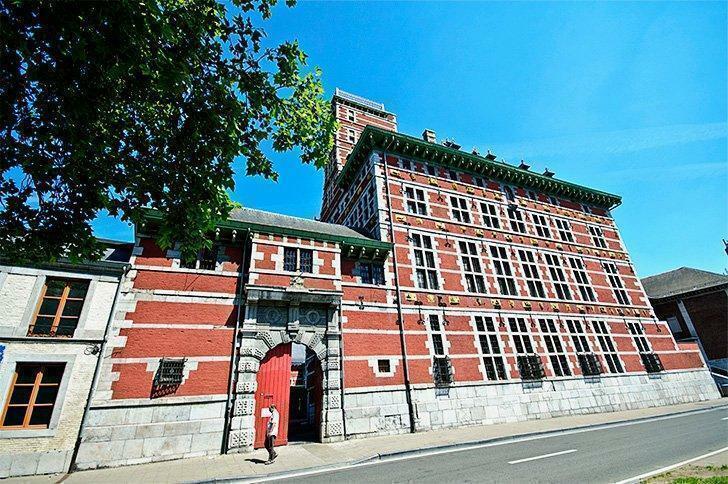 This impressive red brick building, on the banks of the Meuse, was the private residence of industrialist Jean Curtius. In 2009, the building re-opened as a museum combining the collections of the former museums of weaponry, archaeology, decorative arts and religious arts. The museum also houses a notable collection of Mosan art, the regional style of the Meuse River valley. The Museum of Walloon Life is one of the many museums in Liege city center. Nearby, is the Museum of Walloon Life, where you can discover life in Wallonia from the 19th century to today. The museum is divided into several themes: Perspectives of Wallonia, Economic Activities, Daily Activities and Spiritual Life. If you are curious about life in the southern half of the country, this is the place to visit. Not everything in Liège reaches back into the distant past. 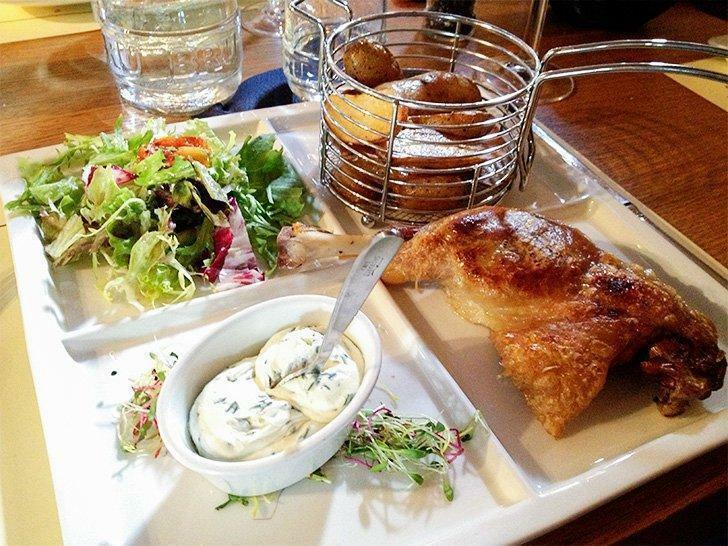 For an artistic look at the present, a visit to La Boverie is in order. The collection features works from 1850 until today and frequently hosts exhibitions of young and upcoming artists. Stars of the permanent collection include works by Chagall, Ensor, Gauguin and Picasso. 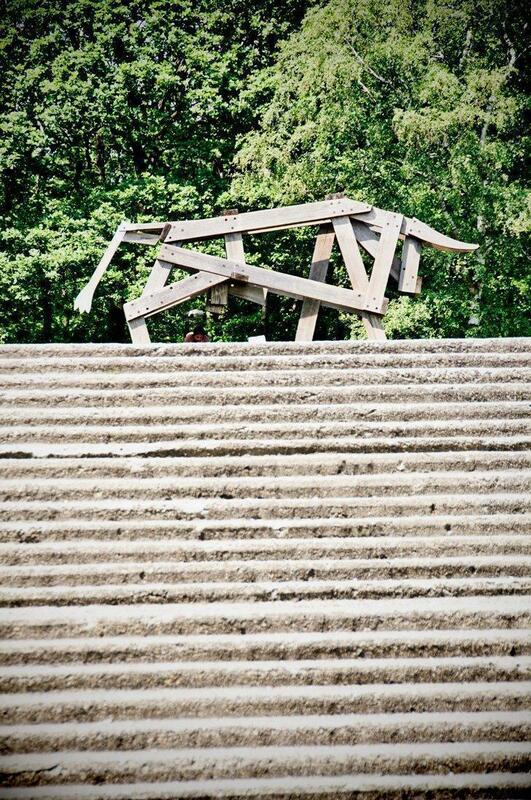 If you’re feeling physically fit and up for a challenge, head to the Montagne de Bueren. These 373 steps will lead you to the old Citadel, now home to the Hopital CHR Citadelle. 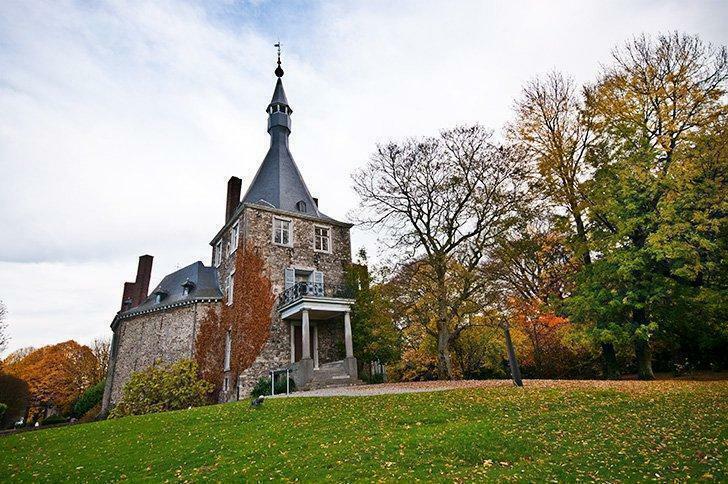 The hospital is surrounded by shaded parkland, Parc de la Citadelle, and is a popular picnic spot. If you’re not up to the challenge of hiking up the stairs, take the slightly less challenging route and drive to the top. For a quiet place to relax and take in a sweeping view of the city, follow the Boulevard du Troisième Génie behind the hospital’s parking lot to the Monument du 14e Ligne. 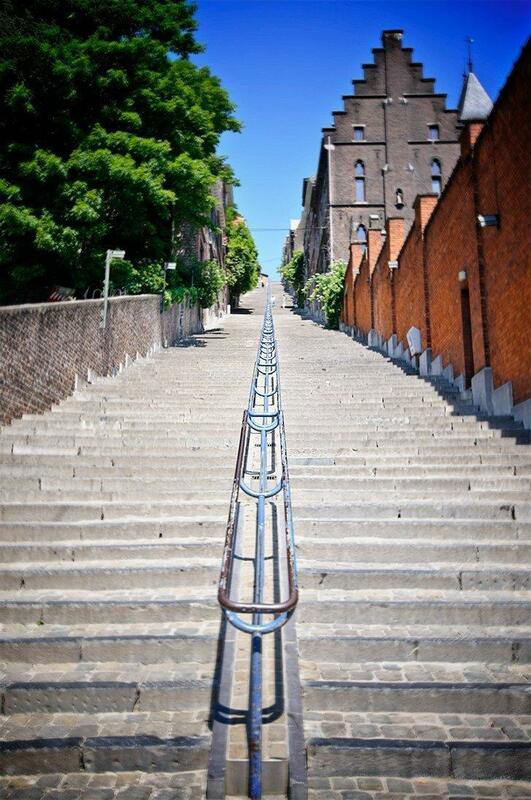 Here you’ll find a beautiful view of the city and a road leading down to the steps of the Montagne de Bueren. 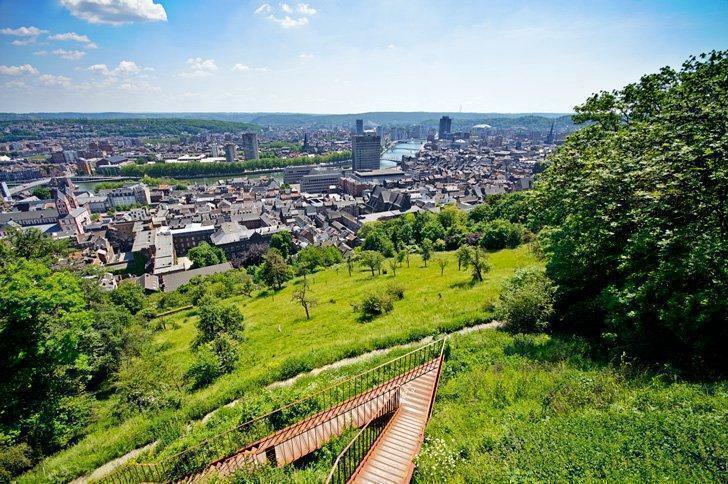 Continue a bit farther down the Boulevard for an even better view of Liège and the Meuse River and stairs that descend to the Bois des Carmelites. Liège is home to one of the country’s largest French universities, l’Université de Liège (ULg). If you’ve arrived in the city by car, it’s worth taking a trip to the outlying area of Sart-Tilman where ULg is located. Here you will find Le Musée en Plein Air du Sart-Tilman, an open-air sculpture museum. You can park for free at the Chateau de Colonster, where you will also find a few of the 120 sculptures. The other works are dotted throughout the forest and grounds of the university. It can be tricky to find them, and they are quite spread out, so make use of the PDF booklet available on the website (unfortunately only in French). Some of the works are showing their age and won’t be to everyone’s taste. However, on a sunny Sunday, it’s a nice walk in the park, and the ULg is a unique campus to explore. Belgium is known for its hundreds of festivals, and Liège has one of its own. Le Quinze Août celebration takes place every August 15th to celebrate the Virgin Mary. Festivities include a religious procession, games, dances and a flea market. The local drink, ‘peket’, a type of jenever or gin, is served in abundance and hand-made local puppets are on display. 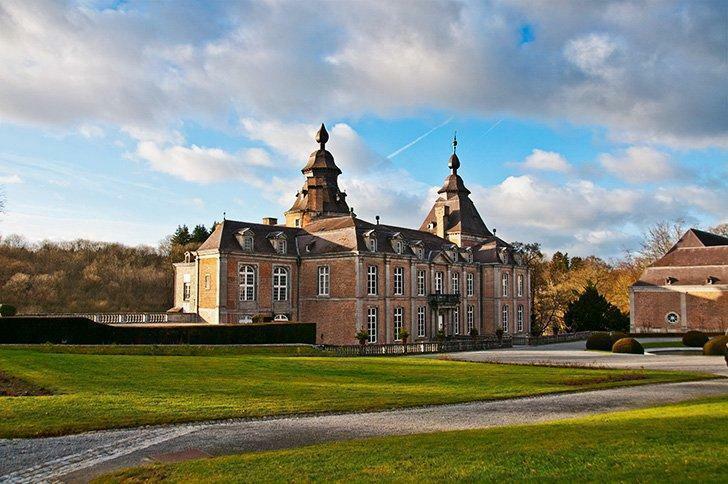 One of our favourite things to do in Belgium is exploring the countless castles scattered around the countryside. Liège has plenty of castles and chateaux to choose from. Two of our favourites are the Chateau de Modave and the Chateau de Waroux. The Chateau de Modave is well off the beaten path and offers stunning views of the valley below. The rooms are ornately decorated with period furnishings. The castle is beautiful any time of year but particularly at Christmas when professional decorators take over different rooms of the chateau and dress them for the holidays. The Chateau de Waroux is small but unique. It is one of the rare circular castles in Belgium and its keep dates from the medieval period. There’s another excellent reason to visit Waroux beyond its architecture. The chateau hosts small but excellent art exhibitions. We once saw a fantastic Chagall expo at Waroux, and the walls have been adorned with the likes of Picasso, Warhol, Matisse, Degas, and Gauguin. The Blegny mine is a UNESCO site and one of the top things to do in Liege province. One of Belgium’s most interesting UNESCO sites lies deep under the ground. 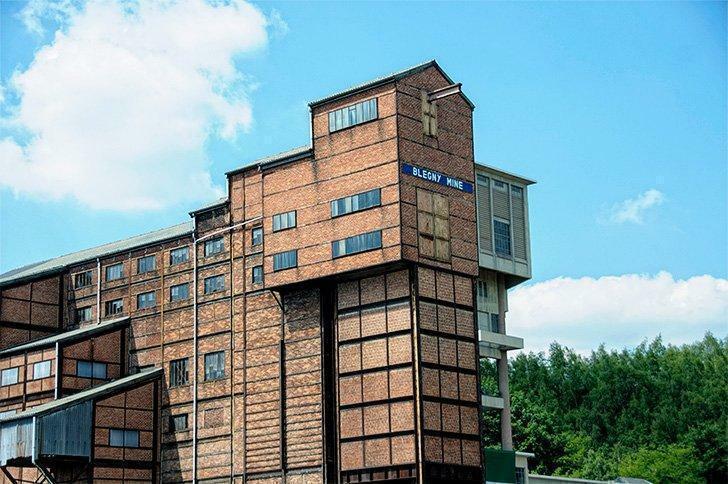 If you want to understand the industrial heritage of Liège, head to the Blegny Mine. On a guided tour of the mine, you’ll get a taste of the miners’ daily lives while learning about the history of mining in the area. It’s a fun and educational visit for all ages. Read more about our visit to Blegny Mine. There’s no better way to unwind than relaxing in healing waters. While Belgium may not be the first place humans soaked their weary bones in hot water from the earth, it is home to the town that gave spas their name. No visit to Spa, Belgium would be complete without visiting Thermes de Spa, the enormous spa complex overlooking the city of Spa. Plan to spend at least half, if not a whole day enjoying the facilities. The name ‘Spa’ isn’t just synonymous with relaxation in Belgium. When combined with Francorchamps it’s all about high-speed racing. If you time your visit to Liège right, you can watch a heart-pounding Formula 1 race at the Spa Francorchamps circuit. The Haute Fagnes Nature Reserve, near Eupen, is the best place to go hiking in Belgium. There are three official languages in Belgium, and despite how it may seem in Brussels, English is not one of them. There is a small German-speaking minority, who have equal representation in Belgium and the capital of the German linguistic community is the lovely little city of Eupen. With excellent restaurants, beautiful accommodations, and friendly locals, Eupen is a perfect weekend getaway destination. It’s also the ideal base for exploring the Hautes Fagnes Nature Reserve – an absolute must-do for nature lovers. Eban-Emael is one of the 12 forts of Liege. In the late 1800s, Liège was an essential hub for industry and transportation. As such, it needed to be protected. General Henri Brialmont designed 12 forts that were built in a ring of defence around Liège. 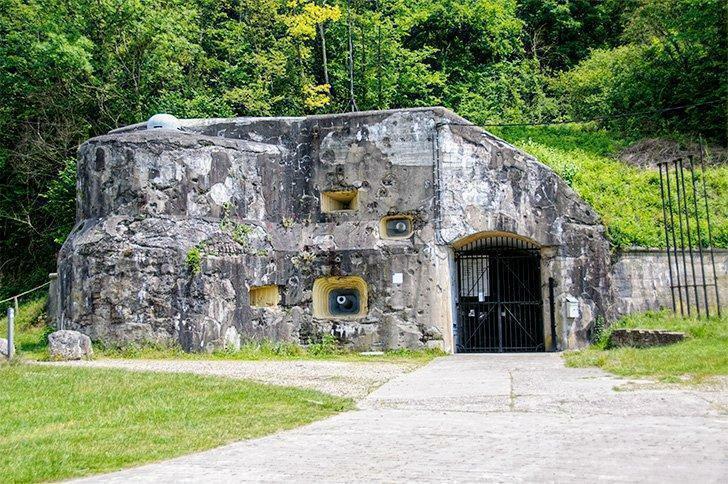 Several of these forts are open to the public interested in Belgium’s Memorial Tourism. We visited three: Barchon, Eban-Emael, and Loncin. Of the three, the Fort of Loncin is the most powerful. 350 of the 500 men stationed here were killed when a German shell hit an ammunition magazine. What remains tells a tragic story. For a fun day out in nature, the whole family will enjoy, head to Leykaul, Belgium to ride the rails. This isn’t a typical train ride, however. You need to use pedal power to travel this line on a rail bike. You’ll ride through fields and forests and get to discover a side of Liège few see. At the end of your round-trip, you can reward yourself Belgian-style with a waffle at the rail café. We can’t have a round-up of things to do in Belgium without at least one Belgian brewery and the province of Liège has a great one. 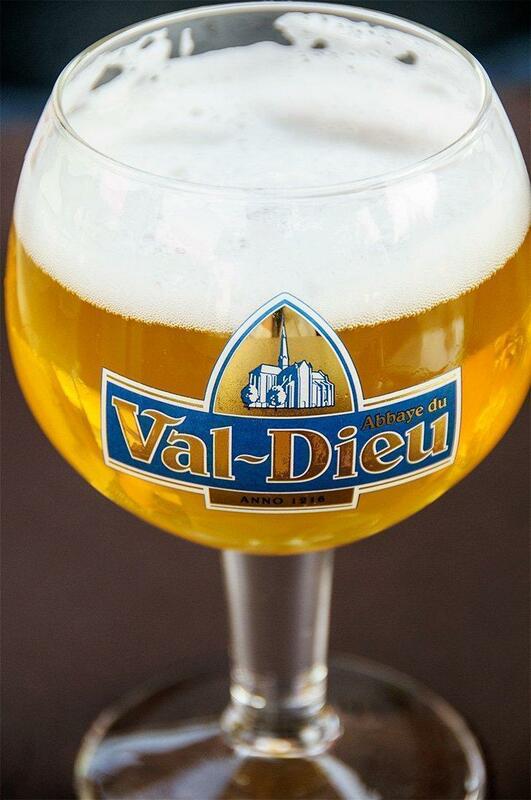 Head to the Abbey of Val-Dieu to discover their range of Belgian beer, enjoy some excellent food, and relax in the tranquil garden. 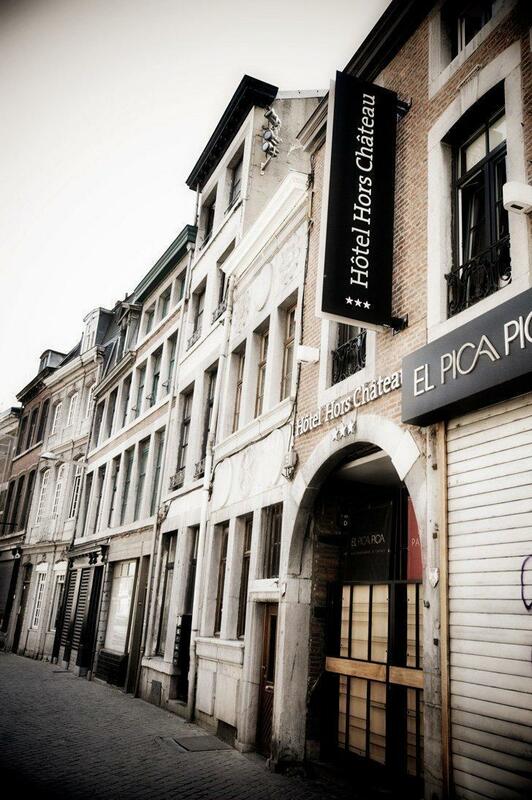 When we visited Liège, we stayed in the lovely, centrally located boutique hotel Hors Chateau. There are only nine contemporary rooms in this 18th-century building. Each has a small but modern bathroom and very comfy beds. The hotel is located across the street from the beautiful red-brick Notre-Dame de l’Immaculée Conception and beside the Montagne de Bueren. It’s within easy walking distance of all the main sights. For a luxurious stay with all the amenities right in the heart of Liège, book your stay at Les Comtes De Mean. This urban resort was the first 5-star hotel in the Liège region and boasts a spa and ‘bistronomic’ restaurant. You’ll find modern luxury inside beautifully restored heritage properties which give the hotel a castle-like atmosphere. The exceptional service and stunning surroundings will make this a stay to remember. For a charming small hotel with excellent food book your stay at the Aux Berges de la Bel bed and breakfast in Aubel, Belgium. This B&B is right beside the Val-Dieux Abbey and not far from the centre of Aubel, a charming town with an excellent weekend market. Read our full review here. If we had to choose one favourite B&B experience in Belgium, hands down it would be the B&B Julevi in Eupen. In fact, we loved it so much we went back a second time; a rarity for us. The accommodations are beautiful, modern, and spacious. The breakfast is substantial and delicious. Most of all though, the hosts are simply lovely. Read our full review here. Plaisir d’Etre B&B is a lovely choice in Aubel hotels, complete with a spa and wellness centre. 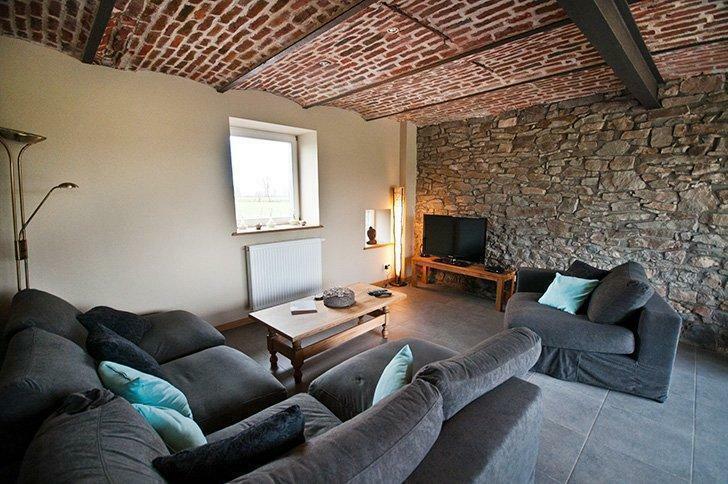 For a cosy B&B stay with a spa and wellness centre onsite, head to Hombourg and the lovely Plaisir d’Etre B&B, in a beautiful converted farmhouse and barn. 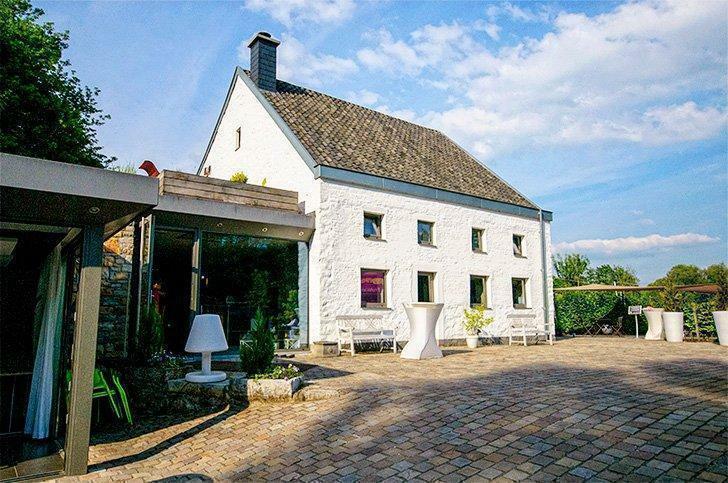 Hombourg is near Aubel, but also close to the Dutch and German borders, making it perfect for a multi-country weekend getaway. Read our full review here. If you’re looking for traditional Liègeoise cuisine and a bustling terrace to enjoy it on, we had a lovely lunch at As Ouhes, in the centre of Liège. The portions are generous, and the service is efficient. On sunny days, the terrace is busy despite the number of other restaurants on the same strip. We can recommend the Vol au Vent and the Salmon with lemongrass and leek. For farm-to-table dining in the heart of Liège head to Ma Farm en Ville. This friendly lunch spot offers seasonal products sourced from within 50km of Liège. The canteen offers breakfast, brunch, lunch, and dishes for takeaway, as well as a catering service. You’ll find scrumptious sandwiches, juicy burgers, soups, salads, and selections of local cheeses. You can also buy products in the shop from more than 50 local producers. For fine-dining in Liège, O de Vie gets top marks for contemporary cuisine. Choose from four-six courses of elegantly presented, creative dishes. The service and décor are high-class, and you’ll be treated to the finest products of the region. 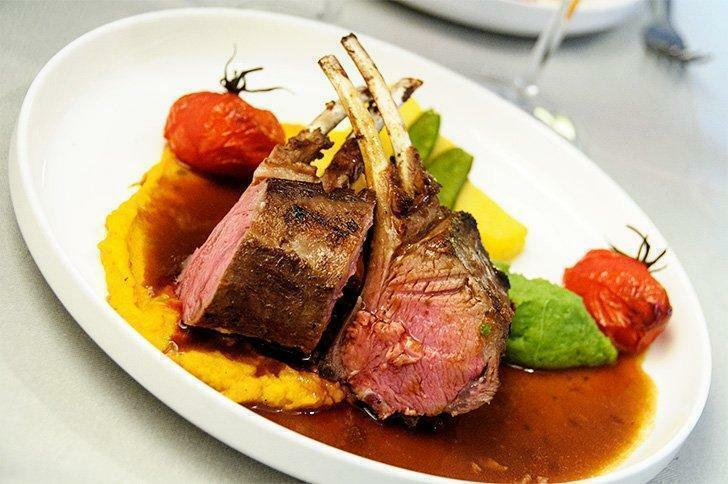 If you’re looking for Mediterranean flavours, L’Enoteca is a Liègeoise favourite. In the heart of the city, you’ll find elegant décor and contemporary cuisine with flavour profiles from Italy and its neighbours. The prices of the 2-5 course menus are incredibly fair, and you’ll be treated to service with a smile. 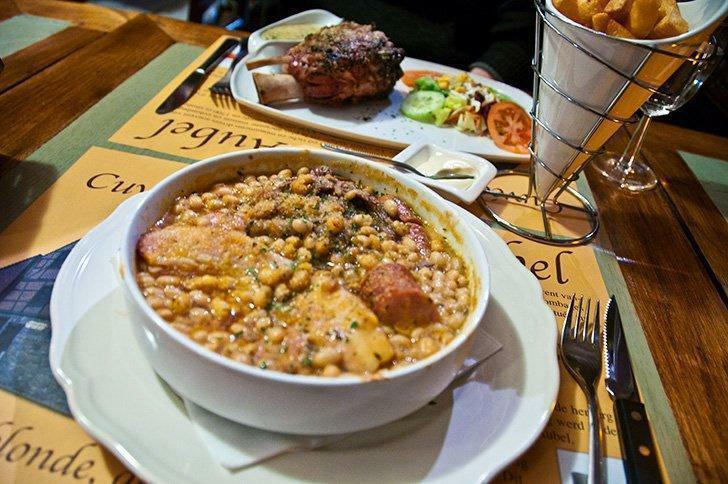 Aux Vielle Aubel offers hearty, old-school meals and is a great choice for a restaurant in Aubel. The Vieil Aubel Restaurant is in the city’s oldest building, and the food is old-school too – in a good way. The meals are hearty and meat-centric, so this isn’t a good option for vegetarians. The service is friendly, and you won’t leave hungry. Read our full review here. The Moulin de Val-Dieu is beautiful bistro offering local specialities from Liège and the Pays de Herve. Set inside an old stone mill, right across from the Val-Dieux Abbey, the authentic details contrast with the modern restaurant features perfectly. Read our full review here. Of all the meals we had in the province of Liège, our evening at Aux Berges de la Belle was the most memorable. From cocktails on the sunny terrace to the refined but not fussy dishes of our 3-course menu, every bite was perfectly prepared. Read our full review here. Sadly, since we last visited, our two favourite restaurants in Eupen closed. Luckily for you, some great places to eat in Eupen have remained. L’Arti’Choc has been serving honest, French cuisine in Eupen since 2004. The seafood, especially the sole, gets top marks and the service is warm and friendly. For a family-friendly restaurant in Eupen, head to La Bottega, offering a taste of Italy. The service is friendly, and the portions are hearty. You’ll feel like part of a big, happy, Italian family. Liège is intersected by several major highways: the E25, E42, E40, and E313. From Brussels, the driving time is roughly an hour to the centre of Liège. Liège-Guillemins is the primary train station for the city and worth the trip for the modern architecture alone. However, it is located well outside the historic centre of Liège. There is a bus service into the city centre. Alternatively, take the train to Liège-Palais station which is situated beside Le Palais de Princes Evêques in the city centre. From Brussels, intercity train service runs at least hourly and takes about 60 minutes from Brussels Nord. We made many enjoyable trips to the province of Liege, Belgium over the years; some on our own and some in partnership with various tourism boards. 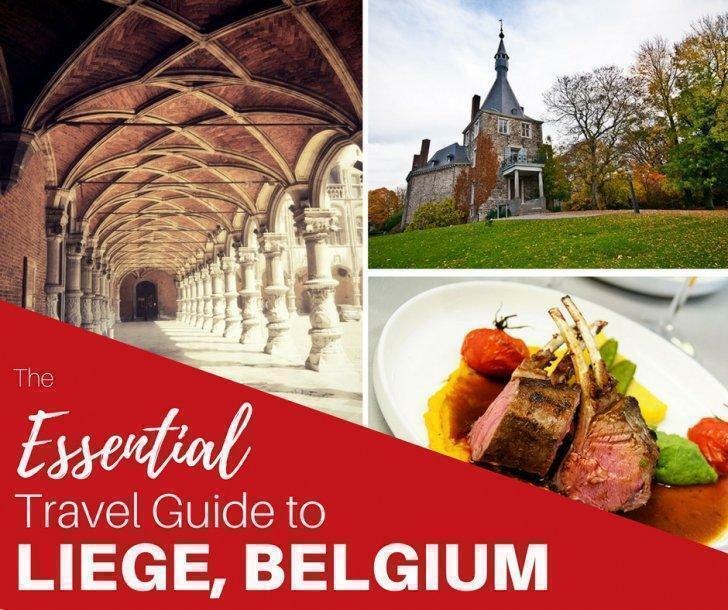 This guide is our round-up of our absolute favourite things to do in Liege Belgium and we hope you enjoy them as much as we did.